Today Ethan played with his LeapFrog Music Table, another lovely birthday present that he absolutely adores. It's a toy that he will happily play with on his own, but it's really nice to take the opportunity to play together and explore all of the different things that this toy can do. Ethan absolutely loves music, so as soon as this toy comes out, he starts to dance. It's great for his Creative Development as he seems to have a natural sense of rhythm. 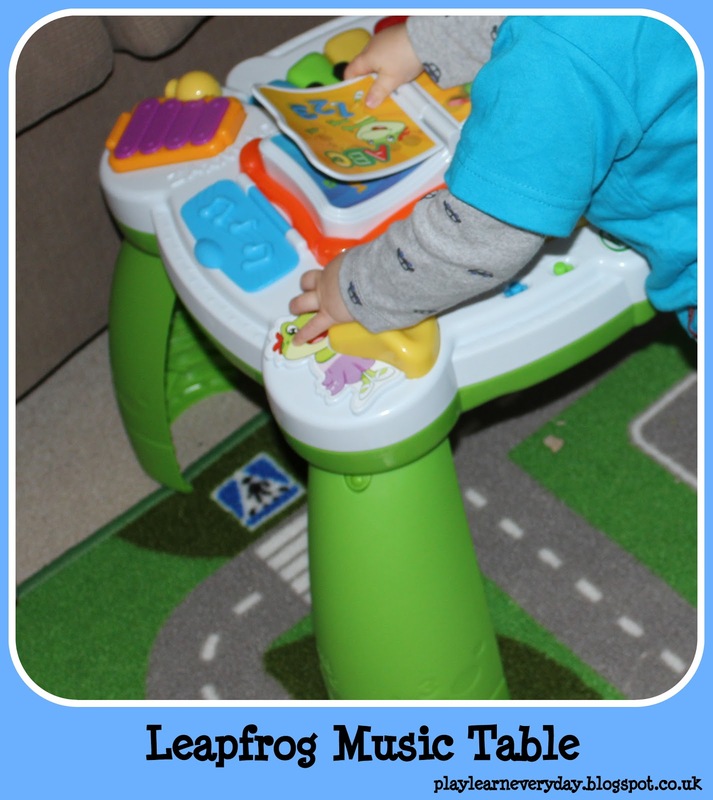 I also love that it can be on the floor or on it's legs as a table, which encourages him to stand up and walk around it to play, which is great for his Physical Development.